Just what we wanted. Very Pleased. This is really great to hear, thank you for taking the time to review us as excellent. Quick to heat a large room, easy to use menu and cost efficient to run. Value for money, works ok. Thank you very much for the great review of our service and quick delivery. This is really fantastic to hear, thank you very much for taking the time to review us. Thank you for the really great feedback. 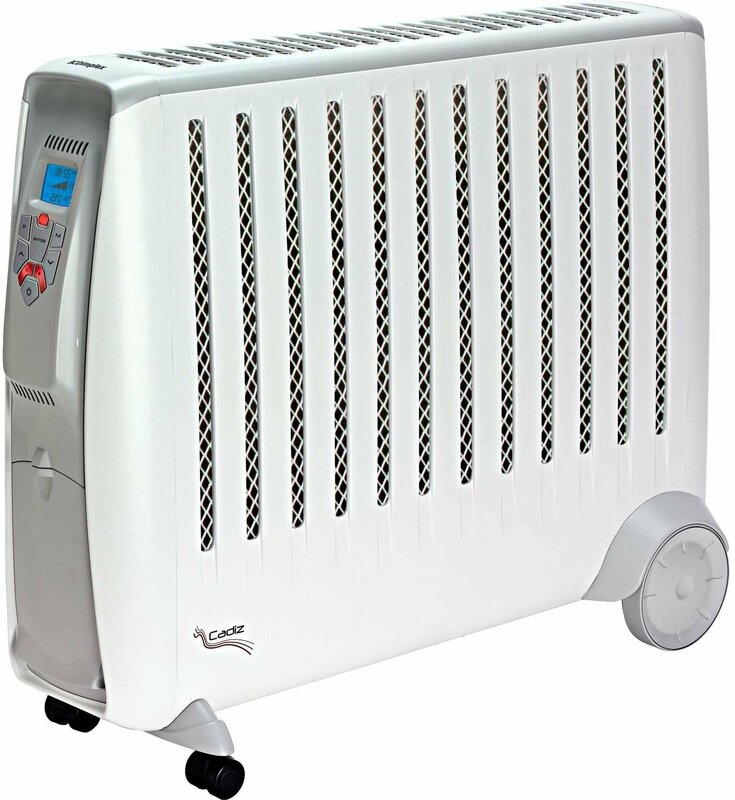 This heater is very efficient and heats up the room to desired temperature very quickly. When the room is at the required temperature the heater automatically switches off. 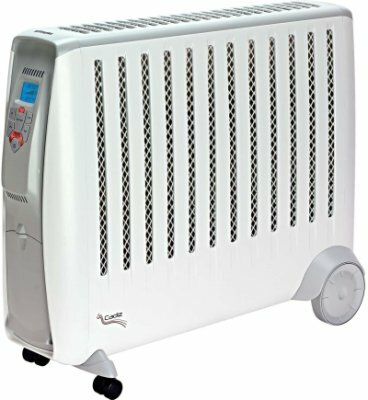 Being able to heat from either or both sides of the heater is very useful and enables it to be placed in various positions in a room. 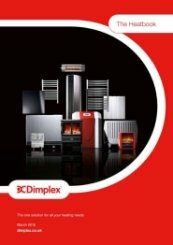 Fantastic to hear that your new Dimplex Cadiz 300w electric radiator is efficient and heats up your room really well. Thank you for taking the time to leave such great feedback. A good choice of products and the heater I ordered arrived within three days. Great service. Thank you very much for the really great review of our service. I ordered 2 by mistake on the computer. And it was picked up by the heater shop free of charge . Easy to understand controls. Heats up quickly. 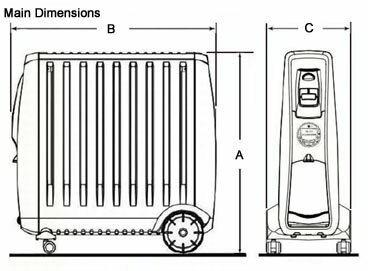 Easy to move around. First rate service. Speedy delivery. Item securely packaged. Good quality, efficient and easy to use. Easy to move about. Light enough to lift upstairs. Comes with instruction book. Heats room fast and Thermostat kicks in when required, so works like a dream. Heater arrived when it should... All good and does what it says on the tin! Thank you for rating us excellent, we appreciate the review very much. Fantastic to hear, thank you very much for the great review. If you need any help with the instructions or setting it up, please give us a call on 01473 27686. This is the second of this radiater I have bought, it’s brilliant for the conservatory and when my grandson is here I can have the one side hot and the side he may touch not on. You can manually put the heating on or by remote control. I bought this heater 7 years ago but when I tested it for this winter the element had gone. It was cheaper to buy a new one than get the old mended. I loved the old one so I bought exactly the same heater for my conservatory. 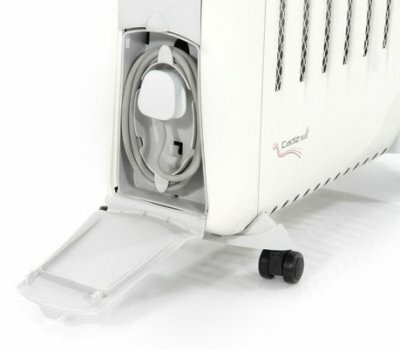 The heater can be used manually or by timer you can have both sides with heat or just one side and you can put it so if the temperature goes below 5 degrees it will automatically come on so your furniture doesn’t go mouldy. Thank you very much for taking the time to write such a great review for both our customer service and for the fantastic product feedback also. This is a very good heater and does just what we wanted. Can be timed to come on early morning to heat up the room and can be used to keep the room at an even temperature. Easy to set with a remote control. Excellent service, ordered one day, delivered the next day ON TIME as predicted. Fantastic to hear, thank you for the 5 star review. This is fantastic to hear, thank you for the great review. Service was great, exactly as stated which is a refreshing change nowadays. The heater is perfect for my requirements , of heating my office room in the garden.It heats up very quickly,although we haven't had the coldest weather yet I feel that this heater will be more than adequate. Excellent ....specially when informing about delivery. Thank you very much, we take pride in our customer service and try and communicate everything we can with our customers. A good heater and easy to set up. First class service over the phone. Didn't make false promises about delivery times and in the end delivery was early. Would definately use them again. We try to keep our customers updated every step of the way. That is really great, thank you for the great review. Thank you very much for taking the time to review us, it is very much appreciated. Radiator has digital control only. I would have preferred manual control as well, then could have used it immediately, also useful as a fallback. Instead I had to read booklet 1st before I could operate the radiator. Delivery good: knew approx del. time on the day. 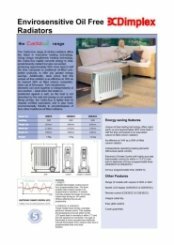 Excellent radiator performance: instant heat & easy operation once read booklet. I would have liked manual controls as well as digital. Good quality, pumps out the heat when needed but also easily controlled using the remote control, timer and thermostat. No oil so no oil leaks (which we have had from oil filled radiators in the past). That is really great, thank you for taking the time to review us as excellent. Absolutely first class service. Exactly what I was looking for, very fast delivery. Thank you very much, we appreciate you taking the time to review our service as first class. 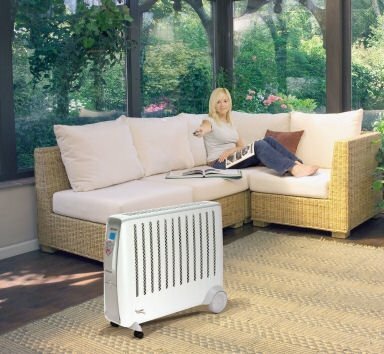 This is a very powerful heater , easy to move and to operate , it is modern and stylish , it heats my garden log cabin within minutes . I would highly recommend this product . Excellent product and excellent service . I would without doubt most definitely buy from this company again . The product is absolutely marvellous , it is a really powerful heater , it heats my log cabin within minutes , The service and delivery from the heater shop is exceptional . That is really great feedback, thank you very much for your valued review. Thank you for reviewing our service as first class and the excellent rating, we very much look forward to hearing from you again. The heater works very well in our conservatory but its mobility also enables use in other parts of the house should there be any problems with the heating. My only complaint is the handbook which I found quite confusing ! Excellent service. My heater arrived the following day after ordering. 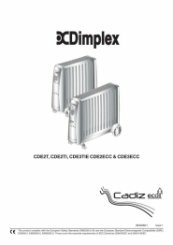 If you need any assistance with setting up your new Dimplex Cadiz CDE Eco oil-free electric radiator & remote control, then please do not hesitate to call us on 01473 276686.